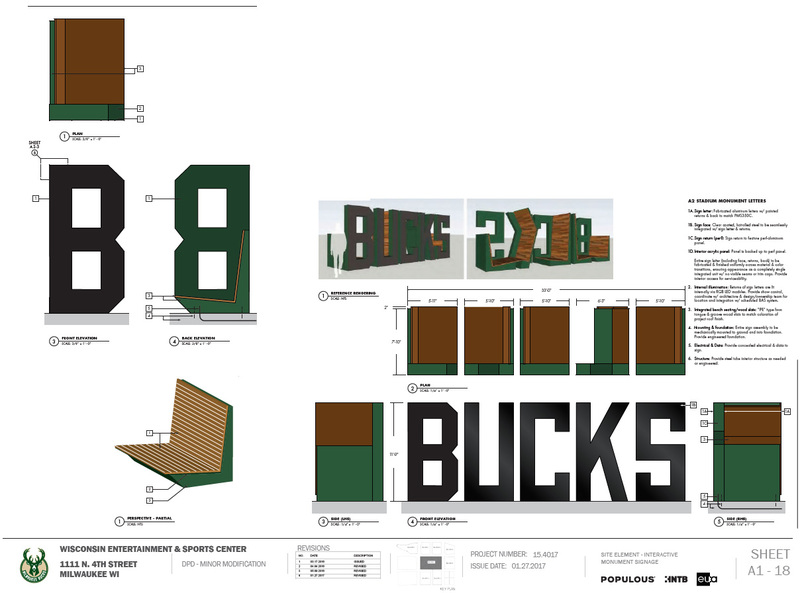 The Milwaukee Bucks sign and chair. Rendering uploaded February 13th, 2017. Rendering by Populous.